The theory of electromagnetic radiation was developed by the Scottish physicist James Clerk Maxwell (1831-1878) in 1873. The formulas published in his work ’A Treatise on Electricity and Magnetism’ predicted the existence of electromagnetic waves. The theory also refers to the existence of very short and very long wavelengths and the lack of upper or lower wavelength thresholds for electromagnetic waves. This presumption by Maxwell had predicted the existence of electromagnetic radiation types that were only discovered after his death. Heinrich Hertz proved the existence of Maxwell’s waves by means of his experiments performed with a spark-gap transmitter. Electromagnetic radiation is an oscillating electric field running perpendicular to a magnetic field. In space, it spreads as a wave at the speed of light and carries energy and impulse. Its particles are called photons. 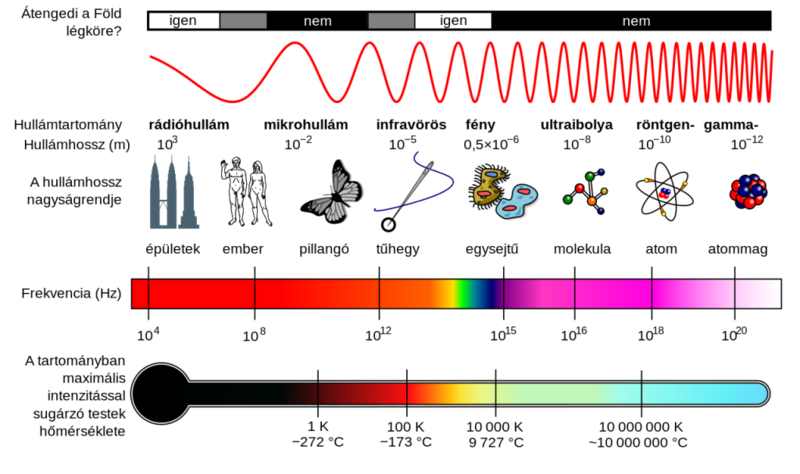 Electromagnetic radiations may be arranged according to frequency (wave length, energy), forming the electromagnetic spectrum. 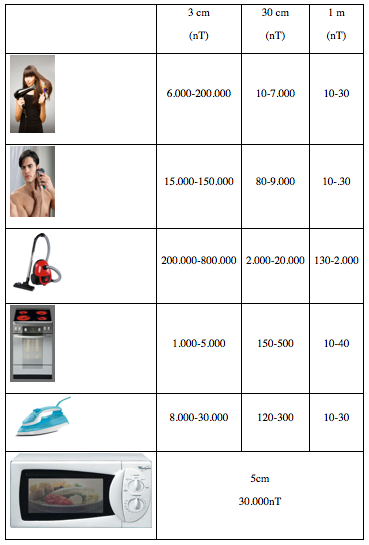 Diathermic equipment, TV and radio stations, mobile phone stations etc. Why is it a hot issue? Pulsing electromagnetic radiation load on the population is radically increasing, in addition to other radiation types, with the global penetration of electric appliances used by our civilisation. From these appliances, modern and miniaturised ones that spread rapidly and make our life easier while we need to have them on us all the time (mobile phones, laptops, e-book readers, etc.) are particularly important. We also have to consider the physiological effect of the electromagnetic radiation by various other electric household appliances, traffic equipment and the tools of transmitting electricity at a low frequency and high voltage. Several scientific studies and publications report about these, emphasising their biologically adverse impacts. The electric environmental load impacting us has increased 300-400-fold in the past 50 to 100 years. This is why it is an important task for humanity to create a new balance using state-of-the-art scientific knowledge, to provide the essential basis for survival as well as for sustainable development. In this case, this balance is represented by the development and application of new types of protective equipment. This term in fact refers to our complex electromagnetic environment i.e. those non-ionising electromagnetic radiations that are emitted or used by our electric appliances. “Electrosmog” is a collective term that covers all the electromagnetic fields, naturally or artificially generated, which cause stress in the human body by means of disrupting the neutral status of cells, decrease the membrane potential of cells in an adverse way and thus generate unfavourable impacts, causing diseases or increasing the risk thereof. “Electrosmog” includes radio frequency and microwave radiation (RF-MH: 300 kHz-300 GHz) and frequency ranges known as extremely low (ELF: 50/60 Hz). 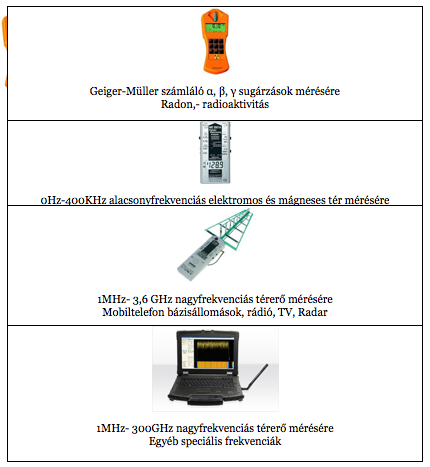 Radio and television broadcasts, the communication channels of emergency units, mobile phones and their stations, radars and navigation systems, microwave ovens and all the wireless office and communication applications (Bluetooth, WLAN*, telephone, mouse, keyboard) belong to the first category. Practically all our household appliances and their cables, transformers and power transmission lines emit 50 (60) Hz radiation. Between the two ranges, the most frequently encountered radiation type (15 and 60 kHz) is emitted by computer screens. By radio frequency and microwave radiation, we mean electromagnetic waves of 300 kHz to 300 GHz. These do not ionise matter but provoke interactions by means of heating or their electric effects. In addition to many other uses, television and radio broadcasts, mobile phones and the related stations and transmission stations and microwave ovens utilise this range, as well as wireless appliances and technologies (various cordless and wireless tools such as cordless phones, Bluetooth and WiFi), radars, GPS and speed cameras. Obviously, the radiation of all these applications represents an existing and increasing environmental impact of immediate importance. As these appliances are used everywhere, the radiation emitted by them has become an inseparable part of our life. Impossible as it may seem, there are 5 billion mobile phone numbers registered worldwide. It is also striking that in April 2017, 13 years after launching the GMS service in Hungary, the number of mobile subscribers exceeded that of the population and by now it has reached 12 million (www.nmhh.hu 2012). Appliances operating on this principle are used every day. Nobody can avoid radiation, not even someone who avoids using these tools. And we hardly know anything about the relevant health impacts, as these appliances have only been mass produced for a relatively short time, so potential long-term effects could not yet be detected at epidemiological level. Nevertheless, WHO claims that such a huge population is impacted by mobile phone use that even small health hazards may have public health significance. It is not surprising that after extreme low frequency radiation, the International Agency for Research on Cancer (IARC) also classified radio frequency radiation as 2B (potentially carcinogenic) on 31 May 2011. No doubt electromagnetic radiation is the newest source of pollution these days! We have to count with severe electromagnetic exposure in our direct environment due to the use of television sets, microwave ovens, mobile phones, computers and screens, home WiFi networks, mobile stations and other household appliances. This impacts our wider environment and nature, too. 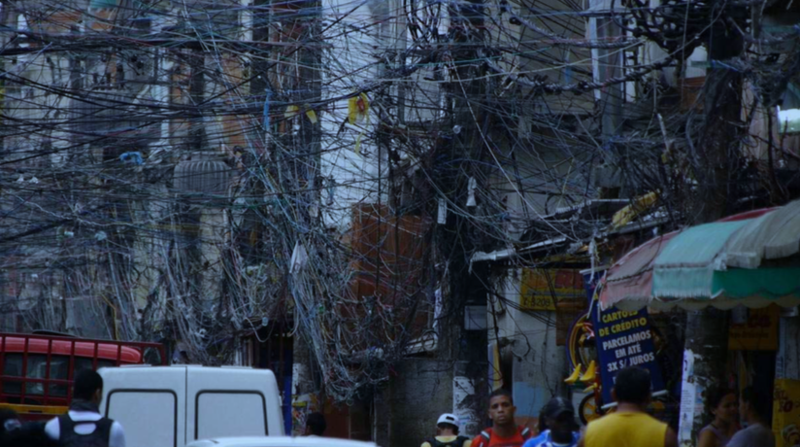 The electromagnetic field generated by electric appliances and high voltage networks in particular may elicit physiological changes in the neighbouring flora and fauna. If we try to calculate the impacted area globally and count with almost continuous exposition, we may well presume the existence of long-term ecological effects. The physiological impact of electromagnetic radiation from various sources is essentially influenced by three important parameters: the power of radiation, its frequency and the specifics of “spikes” characterising wireless data transfer. Studies this far indicate that the microwave transfer of data packages elicits physiological effects that differ from those caused by continuous radiation of the same frequency and are stronger than these. Epidemiology studies emphasised that in populations exposed to extreme high radiation, the incidence rate of childhood leukaemia doubled (!) compared to populations unaffected by radiation. Several papers reported the adverse effects of exposure to electromagnetic radiation on sperm number and the mobility and vitality of sperms. In animal experiments, EMF exposure during pregnancy reduced foetal growth and resulted in deformities and still births. In the case of women exposed to radio frequency radiation, birth weight decreased and the rate of deformities, foetal death and miscarriages increased. Whether electromagnetic radiation is considered harmful or not largely depends on the power of the electromagnetic source, the duration of exposure and the distance from the source. The newest study by Oxford University claims 9% of lung cancer cases to be related to radon accumulation in closed spaces and homes. According to the results, radon is responsible for 2% of all the cancer cases. There is but one option to reduce risks and this is shielding buildings against harmful radiation! ■ present even in nature to a limited extent which may increase in the case of e.g. storms. • At a depth depending on its frequency, electrosmog penetrates body tissues. In the case of mobile phones, this depth is 1 cm. Radio frequency (RF) radiation is absorbed by the body and causes warming. This heating effect caused by the exposition is clearly responsible for all the known health impacts. • The effective radius of electrosmog exceeds the diameter of the source several times, and the strength of its impact is the inverse of the square of the distance. • Electrosmog essentially falls into the category of non-ionising low energy radiations. • Significant EM fields may develop in the direct vicinity of the source, where their strength may significantly exceed international limit values (ICNIRP, 1999). The magnetic radiation emitted by Earth creates an invisible magnetic field or rather a magnetic shield that plays an essential role in protecting life against cosmic radiation and the huge thermonuclear furnace in the middle of our solar system known as the Sun, (with special regard to flares) as well as in providing for a living space for humanity. The energy of Earth magnetism is given by the 2500 to 3000 °C magma under a pressure of several thousand bars and located at a depth of 3000 km below the surface and the gravity between the Earth and the Moon. The magnetic field of Earth cannot be considered homogenous regarding neither its radiation types nor their strength. This variability is mostly caused by structural variations in Earth’s 15-45 km thick crust, the position of faults and the different electric conductivity of underground watercourses, ore loads, salt loads and caves. The energy is emitted by various isotopes (uranium, thorium, potassium, radium, radon) and negative and positive radiation flows towards the surface, where layers have a lower electric potential. The frequency ranges of Earth radiations are different and also vary with time. Their beneficial or adverse effects on human health also vary. Earth magnetism is the result of the movement of extremely strong electric charges in the magma. The Magnetic South Pole is located 1500 km from the Geographic North Pole, northwest from the Boothia Peninsula, Canada. The Magnetic North Pole is very near to the edge of the Antarctica. The North end of the needle of a magnetic compass points to the South Magnetic Pole, hence to the geographic north. Earth magnetism is absolutely homogenous as far as it is considered as a parameter in the functioning of the human body. The magnetic field our body perceives is homogenous and stable regarding both its strength and direction. This natural magnetism may be disrupted or even destroyed by artificially generated magnetic fields. Relatively weak magnetic fields such as that of Earth may elicit biological responses in humans or animals. Some animals including certain fish species are able to perceive as much as 0.1% of the 30 to 60 µT magnetic field of Earth. We are talking about the radiation generated by electric and magnetic fields which has a pulsing electromagnetic effect. The health impacts of pulsing electromagnetic environments were subject to debate for a long time. The reason for the controversy was the lack of suitable measuring instruments. Harmful effects could only be verified by observing biological impacts. These observations covered all kinds of species from the simplest organisms to human patients and the adverse impacts could be detected in each case. The first studies were initiated by the World Health Organisation in 1984 and involved people who worked with computers. These studies were performed by the Karolinska Institutet (the organisation responsible for selecting the Nobel Laureates in Medicine.) Results were published in 1989. The authors concluded that the complaints were caused by adrenaline that caused extended stress and its metabolism followed abnormal pathways. Symptoms were rather diverse and thus the causal link between them and the impact of the pulsing electromagnetic environment was hard to establish. Various symptoms affecting the eyes may occur (itching, burning, tearing, dryness, double vision), but depression, reoccurring inflammations, hormonal disorders affecting the neuroendocrine system, muscle spasms, sleep disorders, severe headache, blood pressure fluctuations, sexual problems and infertility in both sexes are also known symptoms. Lately, this environmental impact has been claimed to be responsible for the increase in the number of cancer cases (e.g. leukaemia, acoustic neuroma, breast cancer, etc.). A Stockholm-based research team observed children and adults living near low, medium and high voltage power transmission lines for 25 years. Compared to others, this population showed a significantly higher incidence rate of leukaemia and other cancer types. The Swedish researchers clearly concluded that human health is not only compromised by overhead power lines but also by every other type of power lines running in walls and belonging to household appliances (refrigerators, vacuum cleaners, electric hobs, computers, mobile phones, alarm clocks with switched-mode power supply). The number of appliances that necessitate health protection measures has been increasing steadily. The latest hazard to be reckoned with is electrosmog in the passenger compartment in cars and other vehicles that are equipped with a broad range of electronic devices. Low frequency, high voltage appliances (high voltage power lines, transformer stations, substations), in particular those that are located in the direct vicinity of residential areas, also have a harmful impact on the body. In 2004, it was the WHO again that published that some people may show hypersensitivity to pulsing electromagnetic fields. It means that minor harmful effects with intensities well below the average values may nevertheless result in severe symptoms. The document claims that this type of hypersensitivity should also be considered an illness and patients should be treated for it, which in practice essentially means the increased application of protection methods against the harmful environmental impact. The phenomenon is called “electromagnetic hypersensitivity” or EHS for short. It includes nervous symptoms such as headache, exhaustion, stress, sleep disorders and skin symptoms like burning, itching or pinching sensations, pain and muscle spasms and several other health problems. The mobile phone is becoming the most often and most widely used appliance of our times. In 2011, it was the World Health Organisation again that warned about the carcinogenic potential of the radiation emitted by mobile phones (the radiation may cause glioma or acoustic neuroma; the number of the relevant cases has been obviously increasing lately as proven by international statistics). We organise practically our entire life using mobile phones and we keep them in the direct vicinity of our bodies. The harmful impact of mobile phones is more complex than that of screens. One of the reasons is that mobile phones are held close to our heads when used. The heat effect warms up head tissues and has a harmful effect on the operation of the brain-blood-barrier, in other words, it adversely impacts the only defence mechanism the brain has. An active mobile phone makes the molecules containing iron in the brain vibrate. This disrupts the functioning of the cytoplasm and leads to further disorders. As a consequence of the damage to the brain-blood-barrier, some neural diseases (in addition to tumours) appear at a much younger age these days than they used to, such as for example the much feared Alzheimer’s disease that results in memory decline. Accordingly, the use of phones by children before adolescence is strictly restricted in some countries (Great Britain, Sweden, Finland and Denmark). The British National Radiation Protection Board issued a statement, asking parents not to give mobile phones to their children. According to the statement, a European study published last December claims that the radiation of mobile devices may damage the genetic material. A Swedish paper published in April 2005 reports on the causal link between mobile phone use and certain cancers of the hearing nerve. A 2003 Danish study reported the radiation-related death of nerve cells. The younger the child, the more significant the hazard is as the developing brain is damaged to a larger extent by radiation. “Apple of my eye” has a nice ring to it, but do we consider this when we put devices that may damage their health on the long run into the hands of our children without any protection? The increasing frequency of hyperactivity and learning disorders is also explained by the adverse effects of mobile devices as the harmonised operation of the two cerebral hemispheres is blocked and information storage is disrupted. Regarding the adverse effects in children, Professor Marcel Ruffo of Medical University Marseille proved as early as 1990 that in the case of preadolescent children who spent more than 50 minutes a day in front of cathode ray tube screens, school results dropped to the third of that of the control group and concentration and memory skills to the fifth, while violence and insomnia increased threefold. These effects can also be observed in children that use mobile phones. 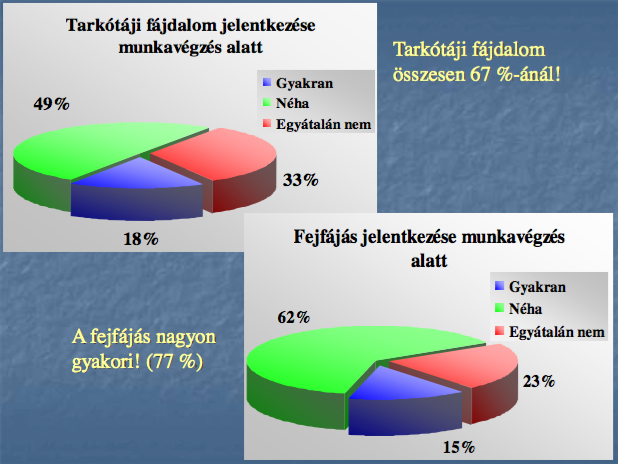 In Hungary, a study was performed in 1999 among schoolchildren. The survey essentially covered the use of those appliances where results indicated very unfavourable trends (conditions, period and duration of use). This survey also called the attention to the need for applying protection systems. Nowadays, the health programmes on commercial TV stations discuss the environmental impacts of pulsing electromagnetic radiation increasingly often. 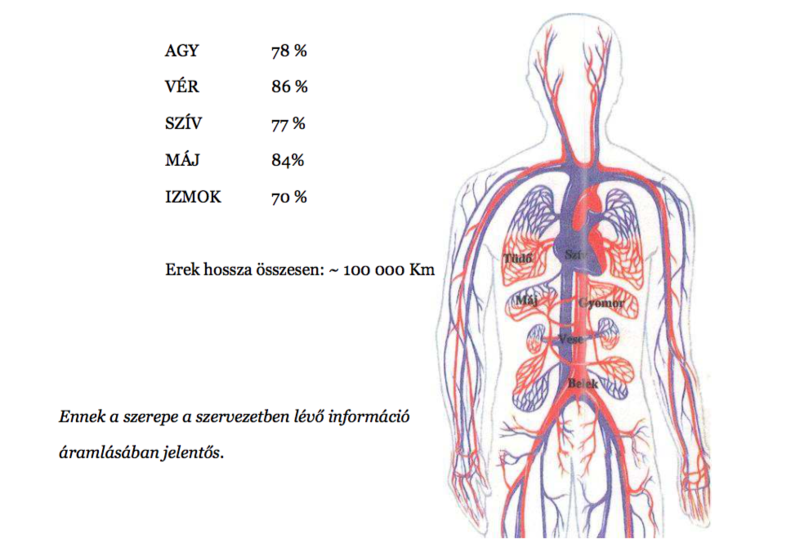 In order to protect the health of the Hungarian population and increase people’s performance, state-of-the-art protection systems should be used, with special regard to tools that are parts of the complex protection system developed by SpaceHarmony System, which promote the health of the new generation by means of eliminating an environmental harm that cannot be battled otherwise. This goal is in the interest of individuals as well as the society and also represents a responsibility. Results of the analyses clearly indicate that exhaustion becomes particularly intensive after 3 hours spent in front the screen. This exhaustion has a significant effect of performance and precision. The figure also illustrates the massive rate of concentration problems during work. These data have a significant relevance for the employer, too: as a cost-efficient solution, multiple protections are recommended in the case of extreme loads or oversensitivity. 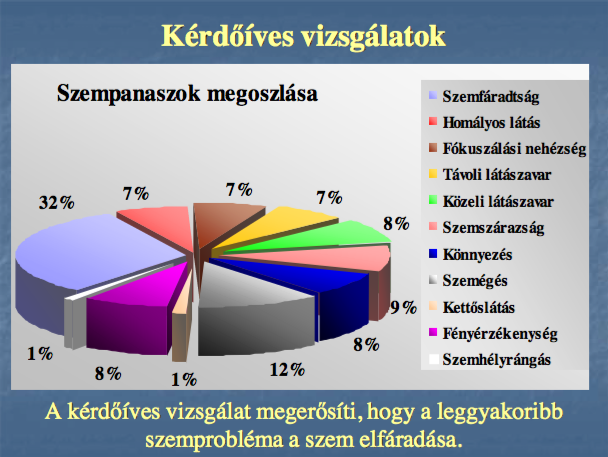 Jelentős hatással van az izomgörcs és az izomfájdalom az általános közérzetre és a munka hatékonyságára. These days, newspaper articles and television and radio programmes discuss the adverse health effects of PEMR (pulsing electromagnetic radiation) increasingly often. However, we do not hear much about the options of protection. – it took 40 years to admit that asbestos is harmful. – After the Chernobyl nuclear reactor accident, it took us 10 years to learn that contamination would not stop at country borders. – It took 5 years to realise the hazards of the mad cow disease. – it had taken 40 months and 5000 victims before the scandal over AIDS contaminated blood broke out in France. – How much time and how many victims will it take to realise the harmful effects of PEMR and act against it? Gaseous radon is generated from the isotope Ra-226, which is commonly found in soil and construction materials. 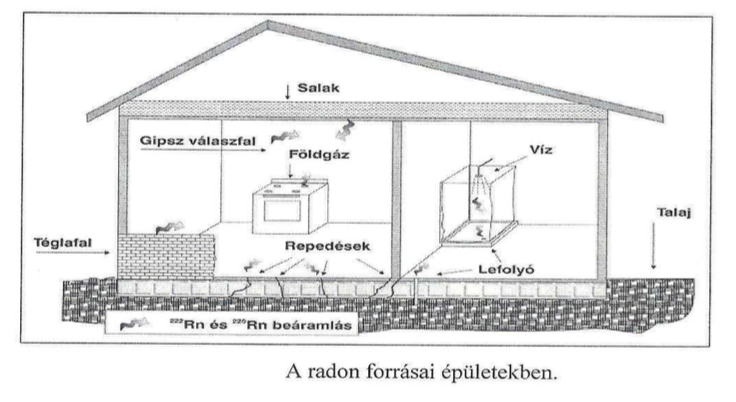 The main sources of radiating radon are the soil and various construction materials. Radon loads may be instrumentally measured. Radon protection may be considered when designing new buildings but it may also be added later. We are all impacted – we are all responsible for protection! SpaceHarmony is an energy conversion device that comprises one or more collection units suitable for capturing environmental energy and a conversion unit that is in electrically conductive contact with the collection unit through a cable. One of the collection units comprises a group of pipe pieces made of metal (pipe resonator), while the conversion unit is placed in a cover and has a capacitor component consisting of metal plates separated by a gap from one another, as well as a frequency adjusting component that cooperates with the capacitor component. The frequency adjusting component has a reception space installed inside the cover of the conversion unit, enclosed by a bordering shell, in the vicinity of the capacitor component, as well as a filling in the reception space, which filling comprises an organic component and an inorganic component distributed in a carrying medium. In its construction, the cable that joins the collecting unit to the conversion unit is made of a metal alloy containing gold, silver, iron, and bronze components, and the cable has at least two flexion zones. The angle between the normal to the incoming section arriving into the flexion zone and the normal to the outgoing section leaving from the flexion zone is at least 10 degrees. The organic component of the filling comprises a regenerative microorganism group, while the inorganic component a powder mixture of gold and bronze. The condenser unit is connected to an earth cable. When the energy conversion device is in operation, one metal plate of the condenser unit is connected to an electrically conductive body of the environment by means of the earth cable and the other metal plate of the condenser unit is electrically connected to the filling of the device by the cable. 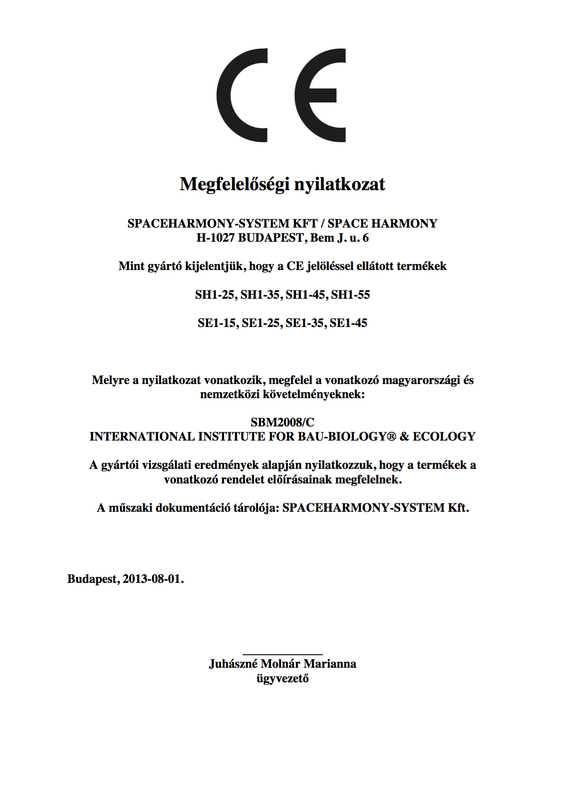 By installing the SpaceHarmony energy conversion device, we aim to compensate for the defects of installed devices that provide protection against known electromagnetic radiation types and to create a construction that is built up of a few simple structural units, installed simply and quickly and, due to the design of the conversion unit, absorbs electromagnetic rays more efficiently than the devices available thus far. 1. Its most important advantage is its increased efficiency in collecting and reducing harmful electromagnetic radiation from a given area, due to its novel conversion unit and the cable of unique composition included in the design. 2. Another advantage of the device is the low number of components due to its unique wiring, so the device is able to benefit its users and create a positive environment where it is installed while requiring only minimal space. 3. Installing the device does not presume the transformation of the building structure and the process is quick and fairly effortless. As the elements of the device work practically automatically, the device does not need maintenance and will not malfunction unless it is intentionally damaged. 4. Another important advantage is that the device does not need an active external energy source (it does not require power) so it can be installed wherever needed. 5. Another advantage of the device is that due to its cable of unique composition and conversion unit of unprecedented design it is able to maintain radiation in the frequency range beneficial for living organisms, hence creating even more favourable and healthy conditions for those living and working in the protected environment. In practice, two methods are mainly used. These are instrumental measurements and radiesthesy. Regarding instrumental measurements, research institutes and authorities have access to a broad range of modern instruments of various makes and types. Radiesthesy looks back on several centuries of practical experiences and is mainly used by private companies and bioenergy experts. E-SMOG-SHIELD is used to reduce micro-electromagnetic fields. E-SMOG-SHIELD /car/ is manufactured of special, very fine stainless steel by means of a precision surface treatment tool and special laser-based surface engraving technology. Active ingredient 2 (solid) An alloy applied on a polyester surface in a thickness of 20 microns by nanotechnology. In both technologies, devices are filled up with the ingredients in the proper ratio and the required amount under laboratory conditions. According to research results, these ingredients are able to absorb a particular range of the existing low frequency (LF) magnetic fields and electric fields and high frequency (RF) electromagnetic fields thus reducing their level to a given value. Natural protection. The E-SMOG SHIELD protection is applied on phones, near screens and desktop computers or in cars. This way, the transition of negative resonance may be reduced. E-SMOG SHIELD /phone/ Stick it on the back plate of mobile phones. E-SMOG SHIELD /car, computer screen/ Place it in the passenger compartment of your car. In the case of large appliances (television set, computer screen, microwave oven), place the protective device near these. 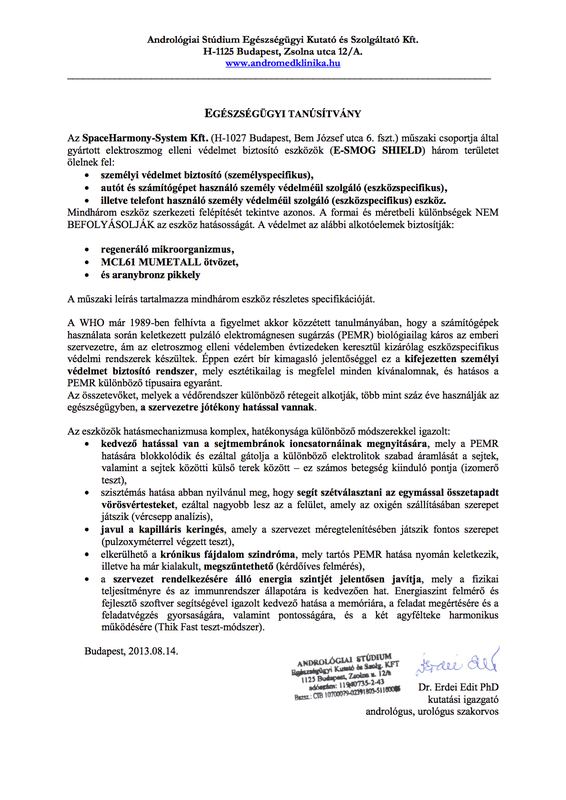 The product was certified by Andrológiai Stúdium Egészségügyi Kutató és Szolgáltató Kft. (12/A Zsolna u. Budapest, Hungary) led by Dr. Edit Erdei PhD, Head of Research. The certification includes the detailed specifications and manufacturing technology of the protective device and the verification of the mode of action. When defining limit values, the main objective is to protect the population and the environment from harmful impacts as well as to comply with the precautionary principle. Furthermore, the main aim of these limit values is not to reflect the border between insignificant factors and risks but to represent political and economic compromises between potential health hazards and economic considerations. Whereas legally bounding limit values are defined by national authorities, recommended limit values are provided by research institutes and independent professional organisations. The two may differ by several orders of magnitude. No wonder doctors, physicists and researchers as well as those involved in practical application have problems in this system, while courts would like to see a clearer and more detailed legislation in this field. Developing standards and limit values is complicated by the fact that electromagnetic radiation cannot be fully eliminated at our highly advanced level of technology and civilisation. The situation is further aggravated by the increasing exposition of the population. Among potential protection solutions, even the WHO emphasises the importance of developing and implementing procedures or protection systems that consider existing levels of exposition and efficiently reduce electromagnetic fields, thus focusing on prevention. The tables below provide information on the legal regulation of electromagnetic radiations and the recommendations by acknowledged researchers and doctors. The standard reviews physical hazards that threaten our everyday life and exist in the spaces around us, at work, at home, where we sleep, where we eat and so on. The standard also provides criteria for individual measurements and to determine potential risks that represent hazards to our health. Measured results are always documented in the form of reports, so that potential problems can be identified and the basis for efficient protection strategies is provided. Individual sub-categories of the standard address critical internal environmental impacts. Its professional approach helps identify and minimise certain factors and optimise them in a customised way. The standard aims at creating an inner environmental harmony which is as free of expositions and as natural as possible and feasible. This holistic approach may be realised in practice by performing all the diagnostics and surveys possible. The strategy of surveying, checking and restoring essentially focuses on the biological experience of the building, the precautionary principle and actual precautionary measures. Any measure to reduce risks is worth as long as human health is protected. We would like to call your attention here to the Criteria for Building Biology Assessments for Sleeping and Resting Rooms. The assessment focuses on considering all the data which may support or contradict the presumption that a particular room would cause severe health problems on the long run for those who sleep there and damage the regeneration ability of the human body. The applied criteria are as follows: the criteria for building biology assessment should consider the precautionary principle with special regard to potentially long-term expositions and risks that are relevant for sleeping rooms. Quality sleep in suitable rooms is essential for the human body with special regard to regeneration and self-healing. Criteria are based on several decades of experience and knowledge in building biology as well as the related scientific research and studies. The system approaches existing or newly developed buildings in a holistic way and considers every potential health hazard. These guidelines are based on state-of-the-art diagnostic and analytic methods and promote the creation of an indoor residential environment which is as natural and free of expositions and risks as reasonably possible. 1. No concern: It is the highest precaution level and refers to an unlit, natural environment, the essential background for a modern environment. 2. Mild concern: As a precautionary measure, sensitive and sick people should be protected against these impacts. 3. Heavy concern: Measures are needed. This category is unacceptable regarding building biology criteria. Several case studies and scientific papers prove that buildings belonging to this category may have adverse biological impacts and cause health problems. 4. Extreme concern: These values necessitate immediate and strict measures as they reach or even exceed internationally approved limit values.